Polaris Ranger Mid-Size Single Cab Metal Top for Pro-Fit frame is here! No noise, bolts right on, solid, and durability. The metal shell is all welded construction sitting on a sub-frame skeleton that easily bolts to the pre-drilled slots on your mid-size Polaris Ranger (570-4) Pro-fit Crew frame. The sheet metal shell components is laser cut for a 100% precise line all around. 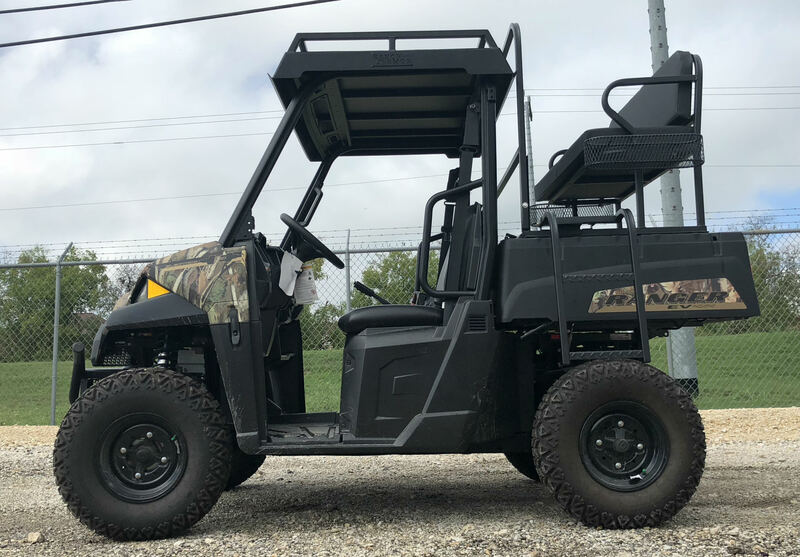 Get just the roof with standard upper racks, or deck it out with optional LED Light Bars/Work Lights, Protective Face-Mask/Cages, or add a marine Bluetooth audio system to jam out! The roof mounts solid and becomes "one with the vehicle" so no noise, and don't worry it's not coming off when hauling down the highway!